Houston is art, color, taste, and diversity. Houston is so versatile that it offers unique experiences that fill our lives with unforgettable memories. Experiences like the one I share with you today that definitely cannot be missed. For just 12 hours, next Saturday April 6th, one of the most acclaimed art festivals in the world, called Nuit Blanche or White Night, arrives in Houston. Imagine having twelve hours to stroll around downtown Houston to enjoy an open-air art gallery filled with unique art installations around City Hall and the Houston Public Library. But first ... What is Nuit Blanche? Nuit Blanche is an art festival that began in Paris in 2002 where thousands of Parisians took to the streets of the city to enjoy a night filled with outdoor art. 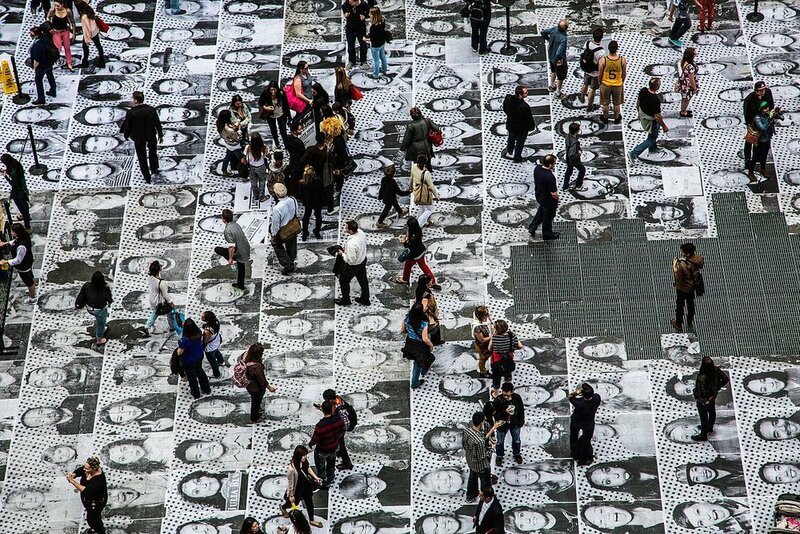 Due to the success of the event, the city of Paris decided to repeat it every year and other cities around the world such as Montreal, Singapore, and Toronto decided to bring Nuit Blanche to its streets as well. Now, thanks to Laura Matesco – a delightful Parisian living in Houston who’s the project director – and a huge group of sponsors, volunteers and art enthusiasts, Nuit Blanche arrives in Houston! The event begins on Saturday, April 6th at noon in City Hall where with the help of this interactive map you’ll be able to stroll the artistic tour until midnight. JR is a French artist and photographer who made the 2018 Time Magazine list of 100 most influential people for his wonderful photography projects around the world. 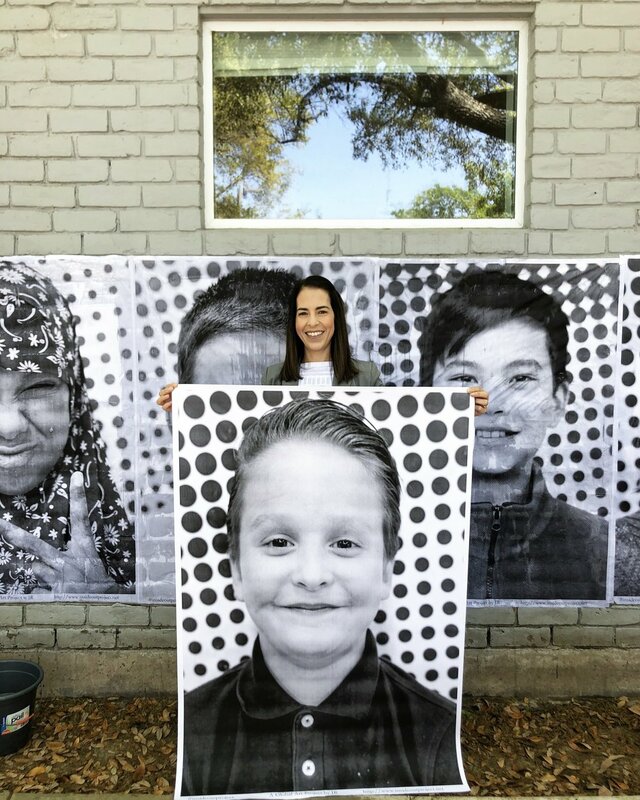 Now, thanks to Nuit Blanche, JR brings to Houston DiverseCity - a project where he shows Houston's incredible diversity through hundreds of photos of children from Houston that will be printed on large posters and pasted all over the floor of City Hall. Just to give you an idea of JR’s outstanding talent, a couple of days ago he just finished this marvelous project at the Louvre Museum in Paris. Ceci Norman, Anne Houang, Sandy Hartley, and Olivier Modr were in charge of taking the pictures of hundreds of children from different schools in Houston. This project was an unforgettable experience for them as they were able to see first-hand the enormous and wonderful diversity we have in Houston through the hundreds of children they photographed. I was invited to Nuit Blanche’s media preview were some of the children’s posters were pasted to the outside wall of the Houston Center for Photography. Volunteers needed! If you want to help paste the portraits at City Hall simply sign up here and be there at 11am on Saturday April 6th. French artist Olivier Modr will create a digital kinetic mobile representing our recorded or lost memories due to the evolution of new technologies. This installation will be presented in the Julia Ideson library, which is one of the most historic buildings in Houston. Hakima El Djoudi, an artist based in Paris, gives new life to signs extracted from old Hollywood films and projects them in public spaces. His work will be screened at Batanga restaurant. In addition to these wonderful art installations, you will also be able to enjoy food trucks, music and many other activities that will make this event an unforgettable white night. I recommend getting to City Hall around 3pm in the afternoon to enjoy the exhibits during the day, but also as the sun sets. The event is family friendly, so kids are encouraged to get a kid’s map at the Nuit Blanche information booth. After completing the tour and questionnaire, they'll be able to create a fun paper flower inspired by Van Gogh at the Museum of Fine Arts booth. The event is free and open to the public; however, Nuit Blanche also offers a VIP lounge at the Lyric Market rooftop where you can enjoy cocktails, food, free parking, the opportunity to talk to local artists, and a guided tour of the installations. 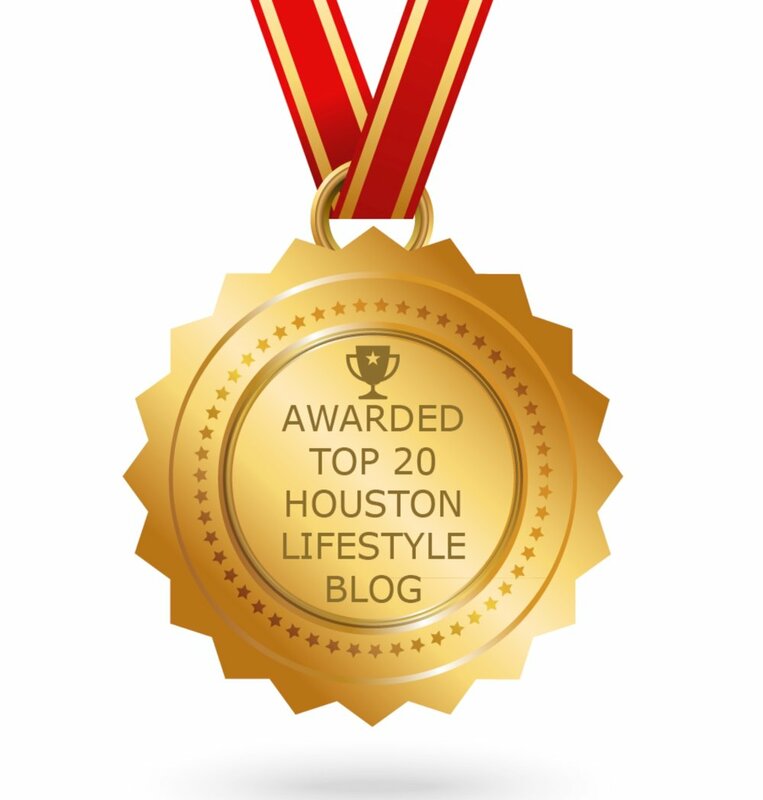 Visit the nbhouston.com for more information. On Instagram @yomarianablog you can participate in the raffle of 4 VIP tickets for the event. Hope to see you all there at Nuit Blanche! Many thanks to Caps & Bold for inviting me to learn more about Nuit Blanche and to Laura Matesco for bringing a little piece of Paris to Houston.